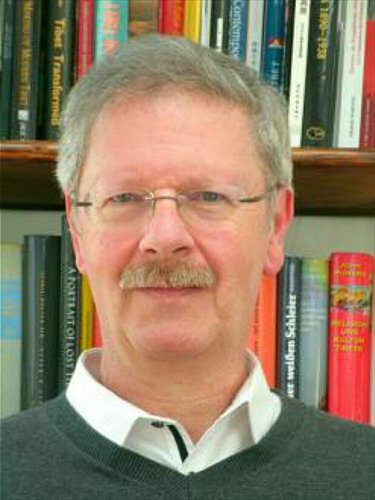 Germany-based Zambon press has published two books from Luxembourg scholar Albert Ettinger about Tibet - Free Tibet? 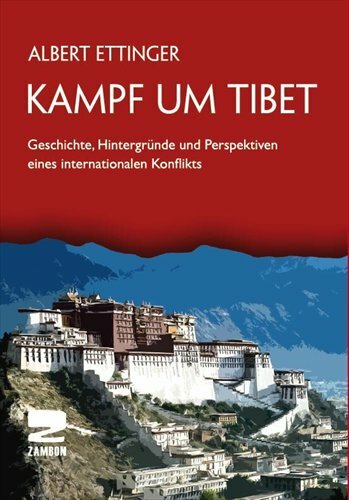 State, society, and ideology in the real existing Lamaism in September 2014 and Fight for Tibet: history, background and perspectives on an international conflict in March, which have been well received in countries like Germany and Switzerland. In an exclusive interview with the Global Times (GT) on Sunday, Ettinger said his books aim to show readers the real Tibet. GT: As a history major, when did you begin to study the comparison of new and old Tibet, as well as the "fight for Tibet" by the international community? Why did you decide to write the two books? 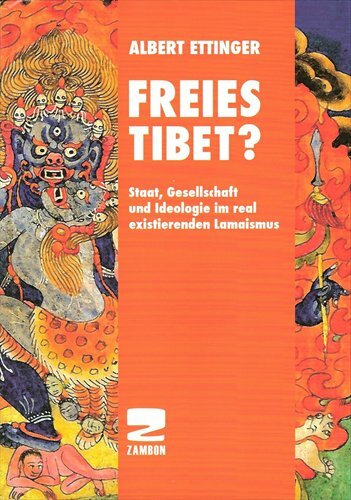 Ettinger: I noticed a book on Tibet in Germany a few years ago, which was sheer propaganda about the Dalai Lama. I was angry to see the Dalai Lama and his disciples trying to poison the minds of youngsters and demonize China. My underlying motivation for writing the two books is my profession as a teacher. I have always believed that the foremost task of a teacher is to help students develop independent and critical thinking skills, and probe into the truth, including suspicion of unreasonable doctrines, so-called sages and saints. GT: Numerous pictures that compare drastic changes in Tibet are used to illustrate the two books. What lies of Tibetan separatists have been exposed through your book? Ettinger: I didn't know where to start. Those lies involve every aspect of new and old Tibet - social and living conditions, the religion and certain historical events. Those stories have different sources, so the Tibetan government-in-exile internalized the myths that already prevailed in Europe. Those lies were made up by the Dalai Lama and his henchmen. For example, ethnic Tibetans existed as an independent group since 127 BC; Tibetans used to live happily and peacefully; they did not need an army or police; China annexed Tibet by military force in 1951; the agreement between the central government and the local government of Tibet for the peaceful liberation of Tibet was forged in 1951; the Dalai Lama fled from Tibet to avoid his pending abduction or murder; neither he nor his brothers were funded by the US; "Tibetan resistance" is non-violent; China attempted to make the Tibetan culture and language perish; China wanted to exterminate the Tibetan people; the sole goal of the Tibetan government-in-exile is to achieve "real autonomy." My books also cited some subtle lies made up by Western Tibet researchers, who claimed that the Dalai Lama was stopped by "Chinese" from reforming the Tibetan society in the 1950s, or considered him a great reformer. GT: In your opinion, how did some Westerners form a narrow view on Tibet? How can the separatist actions of the Dalai Lama group appeal to some Westerners? Western media lack self-examination on their coverage on Tibet issues, and even encouraged the violent actions of some separatists. What's the situation now? Ettinger: There are a few reasons. First, Tibetan myths have been popular in Western culture for a long time. As early as the 1950s and 60s, Western countries published the cartoon Tintin in Tibet (The Adventures of Tintin), the novel The Third Eye and other popular books. These echo the Dalai Lama's exile. At the same time, Hollywood has hopped on the Tibet train. It made movies like Kundun, Seven Years in Tibet and Little Buddha. Another reason is US "soft power." The US government controls a net of lies about the Tibetan government-in-exile. This net not only includes mainstream Western media, but also many NGOs, and the new Democracy Foundation, which is funded by the US government. But all lies will eventually be exposed. More than 20 years ago, Canadian Tibetologist Professor Tom Grunfeld wrote a book, The Making of Modern Tibet, which objectively discussed Tibet's modern history. But this book came under attack by quite a few American journalists. Another important reason is that Western media are terrified of China, a powerful nation on the economic rise. A 2010 report from the Heinrich Böll Stiftung China Foundation pointed out that many media reports are full of clichés that twist China's image, such as saying China "supports hooligan countries," is "the criminal behind climate change," it is a "low producer" and unscrupulously "resource-hungry." Now, through the active publicity of the Chinese government, as well as efforts by Western tourists who have been in China and Western scholars, the reports from Western media about China are relatively becoming more comprehensive. GT: Is the Dalai Lama a pawn which the US and other Western countries use to confront China? Ettinger: Without question. It started when he fled Tibet. Now we know that the separatists in Tibet have been in touch with the US government since the 1950s. The CIA and the Dalai Lama have always held hands. His brother, especially his oldest brother Thubten Jigme Norbu, was recruited by the CIA's "Radio Free Asia." Gyalo Dondrub was recruited as CIA's anti-Communism terrorist. In the 1950s, the Dalai Lama expressed his "support" for China in many articles, demonstrating his "patriotism." Some historians even thought that was from the heart. But in retrospect, I think that was his strategy, deceit in the name of cooperation. Today, Dalai uses the "government-in-exile" and a lasting fight over Tibet to damage China's reputation, and hopes to use the US to weaken China's political and economic status in the world. GT: What are the prospects for the "fight for Tibet?" Some countries in the West used to play the card of Tibet indepenence with great enthusiasm but now it appears they are not as blatant as before. Why? Ettinger: I mentioned in my book that the exile government and its supporters in the US are not after "real autonomy." Within their circles, they consider "Greater Tibet," "East Turkestan," "Manchuria," Inner Mongolia and Communist China separate states. That means some people dream of China breaking into pieces like Yugoslavia and the Soviet Union. Of course they're daydreaming. It's hard to imagine that Tibet would be separated from China. Only political adventurers, irresponsible daydreamers and lunatics would think that way. Tibet is prospering within a united China. The future of Tibet is riding on support from the central government to improve its economic and social development. The opinions of Tibetans overseas will change as social and economic conditions improve. I'm very confident about that. GT: The Dalai Lama will turn 80 in July. Will they jump at the opportunity to launch a new round of campaign to promote "Tibetan independence?" How should the Chinese government respond? Ettinger: Propaganda against China has never ceased, and it will gain momentum at this moment. I just wrote to the biggest daily newspaper in Luxembourg and warned that the Dalai Lama's birthday will be taken advantage of again. For example, some will whip up lies such as that Tibetan language and culture are being oppressed and so forth. I'm not in a position to advise the Chinese government. In my opinion, the Chinese government should boost its publicity efforts more than at any time in the past.